The "New Manx Vehicle" or "NMV" is due to be introduced into Isle of Man law later this year. The new corporate vehicle will be created and governed by the Isle of Man Companies Act 2006 (the "Act") which is currently in bill form. The bill has now completed its passage through the Isle of Man legislative process and is awaiting Royal Assent. Once in force, the Act will be largely a stand alone piece of legislation and NMVs incorporated under the Act will coexist with present and future companies incorporated under the existing Isle of Man Companies Acts 1931-2004 ("1931 Act Companies"). The NMV will be a flexible and modern corporate vehicle which will be attractive to business, especially as a special purpose vehicle. 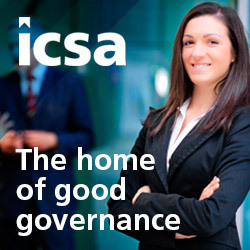 Some of its key features include: no requirement for authorised share capital; no capital maintenance requirements (subject to satisfaction of a solvency test); no prohibition of financial assistance; reduced compulsory registry filings; less prescriptive accountancy requirements; no distinction between public and private companies; simplified offering document requirements; ability to have single directors and (within certain limits) corporate directors; no requirement to hold an AGM and availability of transfer of domicile procedures, reregistration procedures and merger and consolidation procedures. The NMV will be a legal entity in its own right separate from its members and will continue in existence until it is dissolved in the same way as 1931 Act Companies. an unlimited company with shares. a registered office address in the Isle of Man. Only registered agents will be permitted to incorporate a NMV by submitting to the Registrar of Companies (the "Registrar") the proposed memorandum and articles of association of the company. Upon receipt the Registrar will register the documents, allot a company registration number to the company and issue a certificate of incorporation. If a NMV is formed as a company limited by shares, a company limited by guarantee or a company limited by shares and by guarantee, it will be able to have "Incorporated", "Inc", "Corporation" or "Corp" as the last word of its name, in addition to the usual "Limited", Ltd", "Public Limited Company" or "PLC". In addition, foreign character names will be permitted. The doctrine of ultra vires will not apply to NMVs. The Act expressly states that notwithstanding any provision to the contrary in a company�s memorandum or articles of association and irrespective of corporate benefit and whether or not it is in the best interests of a company to do so, a company will have unlimited capacity to carry on or undertake any business or activity, to do, or to be subject to, any act or to enter into any transaction. In addition, in favour of any person dealing with a company in good faith, the power of the directors to bind the company or to authorise others to do so will be deemed to be free of any limitations (including limitations deriving from any provision in the memorandum or articles of association of the company or any resolution of the members of the company or any agreement between the members of the company). A person will not be deemed to have notice or knowledge of any document (other than registered charges) relating to a company (including the company�s memorandum and articles of association) by reason only of the fact that it is available for public inspection at the companies registry, at the registered office address of the company or at the office of its registered agent. Notwithstanding these provisions, the directors of a NMV will still be subject to the various duties imposed on directors by common law as well as fiduciary duties, including the duties to act bona fide in the best interests of the company and for proper purposes. permitted to act as a corporate director by regulations made pursuant to the Act. Subject to any contrary provision in a company�s memorandum or articles of association, the Act expressly provides that the business and affairs of the company will be managed by or under the direction or supervision of the directors and that the directors will have all the powers necessary for managing, directing and supervising the business and affairs of the company. Resolutions passed at board meetings will require the approval of the majority of the directors present (subject to any contrary provision in the company�s memorandum or articles of association). There is express authority in the Act to enable telephonic or electronic board meetings to be held provided that all directors participating in the meeting can communicate with each other. Directors written resolutions will require the agreement of all of the directors or of such majority (greater than 50%) as is specified in the company�s memorandum or articles of association. Written resolutions can be consented to in writing or by email, telex, fax or other electronic communication. The Act permits NMVs to be single member companies. passed as a written resolution. Resolutions passed at a members meeting will only require the approval of a member or members holding in excess of 50% of the voting rights exercised in relation thereto (subject to any contrary provision in the Act or in the company�s memorandum or articles of association). In the same way as board meetings, the Act enables telephonic or electronic members meetings to be held. Members written resolutions will require the agreement of all of the members entitled to vote or of a member or members holding such percentage of the voting rights as is specified in the memorandum or articles of association (subject to any requirement in the Act for any resolution to be passed by a particular majority). Written resolutions can be consented to in writing or by email, telex, fax or other electronic communication without the need for any notice. The terms "ordinary", "special" and "extraordinary" resolution are not used in the Act. The provisions relating to shares and share capital in the Act are considerably more relaxed than the equivalent provisions applying to 1931 Act Companies. sets out such information fairly and accurately. It will be the duty of the directors or proposed directors (in the case of a company yet to be incorporated) to ensure that any offering document complies with these straightforward requirements. The Act introduces a new definition of "distribution" in relation to a distribution by a company to a member. A "distribution" essentially means the transfer of company assets or the incurring of a debt by a company to or for the benefit of a member and includes the payment of dividends and the redemption, purchase or other acquisition by a company of its own shares. The Act will permit the directors of a company to authorise a distribution by the company to its members at such time and of such amount as they think fit if they are satisfied, on reasonable grounds, that the company will immediately after the distribution satisfy the solvency test. the value of its assets exceeds the value of its liabilities. The solvency test replaces the traditional capital maintenance requirements which apply to 1931 Act Companies. Provided that the solvency test has been satisfied, dividends may be paid and shares redeemed or purchased out of any capital or profits of the company. In addition (subject to any contrary provision in the company�s memorandum or articles of association) the consent of the members will not be required. the assets and liabilities of the NMV. NMVs must also keep minute books of meetings and resolutions passed by its directors, members and classes of members. Whilst these minutes books do not need to be kept at the office of the NMVs registered agent, the registered agent must be provided with a written record of the physical address where such records are kept. any applications and filings in connection with any re-registration, scheme of merger, consolidation or arrangement, transfer of domicile or conversion into a protected cell company. In particular, there is no requirement for NMVs to file with the Registrar details of any change in its directors, any increase or reduction in its share capital, any alteration to its share capital, any allotment of shares or any members resolutions (other than as required in connection with any of the matters listed above). A NMV can voluntarily elect to file a copy of its register of directors and/or register of members with the Registrar. If a NMV makes such an election it must notify the Registrar of any changes to those details. In addition, a NMV can voluntarily file any offering document with the Registrar, but it is not required to do so. a NMV which has been constituted as a company limited by shares to be converted into a protected cell company.